No stats I’m afraid. It’s one of those old games that doesn’t keep track of your play time or anything. Ah well, maybe next time. It’s time to look at one of the original beat em ups out there. 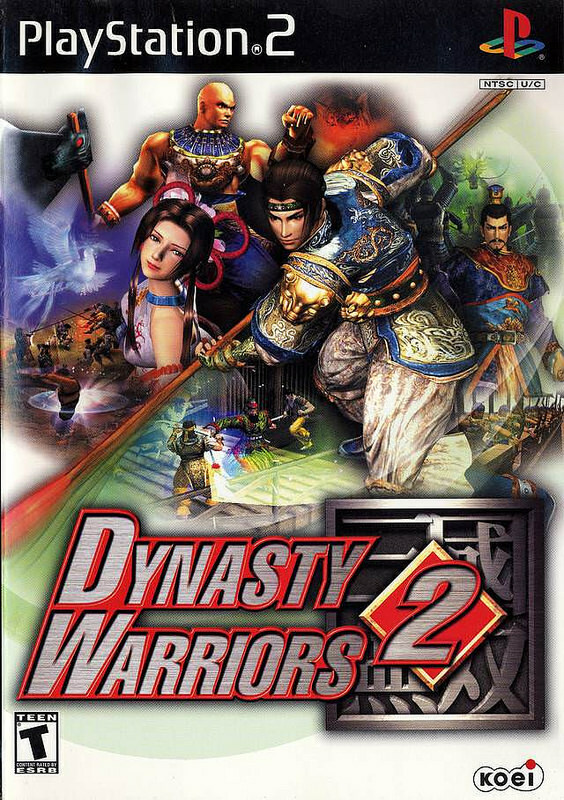 Dynasty Warriors has really created a name for itself over the years. When you think of a beat em up it is certainly one of the first ones that you think of. It’s almost unfortunate though as I consider it to be one of the weakest ones. The reason for this is that I’m not a big fan of the characters. They are all rather forgettable to me and I feel like they all act the same as well. They pop in to talk tough but ultimately just don’t do much. I still like the gameplay a lot, but it’s the only thing holding the game together. What I wouldn’t give for another Hyrule Warriors type of game right about now! So, I couldn’t even tell you much about the plot. Essentially the feuding nations are once again at each other in mortal combat. You have to pick which side you want to help and you lead them to victory in the 5 battle Musou Mode campaign. Each level is very long so you will be glad that it is only 5 levels. Any more and the game would have really dragged on. No matter which team you pick your character will be the one doing all of the work. Your allies can’t really handle even one named opponent. You’ll look on with a bit of sadness as you rack up 250 kills while your teammates are still struggling. Ultimately you have to be a one man army. I will give the game some credit for being a little difficult though. This beat em up was made before the current days where the enemies only exist to inflate your stat sheet. If you rush off by yourself to fight a big group of opponents you probably won’t last long. You’re encouraged to just stand and fight with the rest of the crew. It takes a little longer of course, but it’s the most efficient way to go about it. I did manage to ditch my army once as I ran in for the win but I nearly died quite a few times. It goes without saying that dying is something you really don’t want to do in this game since you have to start the super long level from scratch. You can find save points inside of vases sometimes but it can be difficult to find those. I suppose you can go after the vases but that could take time so usually I didn’t bother. You have your basic attacks and charge attacks in this game. You can also use your ultimate move. Again, the destructive capabilities of your attacks are a lot milder than something like Fire Emblem Warriors. It’s just a different kind of beat em up. I went into more detail with this in another review but essentially you won’t be just mowing down dozens of opponents with a single hit here. You can still take down like 300 opponents, but it will take much longer than in other games. I prefer the other type, but I also understand that this game is really old. We’ll see if the system changes as we enter the modern day. I own games 4 and 5, but not 3 so I will have to wait a bit before re-entering this series. I look forward to that opportunity arising though. The graphics look pretty decent. The character models are on point and it does accurately show off how the era looks. It’s not particularly fun to look at since all of the battle fields look the same, but it’s more of a design choice than a graphical limitation. Unfortunately the soundtrack is rather bland so that part I’ll blame on the game. The only good theme is the one that plays during the credits as we get a quick look at what this game could have been like. The cool visuals and emotional lyrics just make you feel like this game was ultimately meant to be a lot quicker paced than it was. There is certainly a lot of replay value here though. Each story mode will probably take you around 3 hours. By the time you play everyone’s stories you will be looking at 20+ hours of content. That’s really not bad although we’ll see how exciting beating the enemies will be by that point. There really isn’t much in the way of actual rewards either so the satisfaction will have to suffice. Of course, I guess that should always be enough. Overall, Dynasty Warriors 2 delivers on the beat em up action that it promises. Beyond that there isn’t a whole lot of exciting content to be enveloped in though. It’s pretty much just a beat em up with a story that you won’t be invested into. Taking down the enemies is the only reason why you’re here. If you’re such a big fan of the gameplay that this doesn’t bother you then you are certainly in the right place. If not, then I recommend looking at a better title in this series like Pirate Warriors 3.